Dear Aspirants, Read important current affairs of 13th September 2016 for All Competitive Exams. 1. The Union Government has issued model guidelines for states to regulate direct selling and multi-level marketing businesses to protect consumers from Ponzi frauds. These model guidelines titled the Direct Selling Guidelines 2016 framework was released by Union Food and Consumer Affairs Minister Ram Vilas Paswan in New Delhi. 2. The direct selling has been clearly defined as marketing, distribution and sale of goods or providing of services as a part of network of direct selling. The legitimate direct selling is differentiated from pyramid and money circulation schemes in order to help investigating agencies identify fraudulent players. Money Circulation Scheme has the same meaning as defined under Prize Chits and Money Circulation Schemes (Banning) Act, 1978. 1. The Union Cabinet has approved establishment of Higher Education Financing Agency (HEFA) to give a major push for creation of high quality infrastructure in premier educational institutions. The HEFA will be jointly promoted by the Union Ministry of Human Resource Development (MHRD) and identified Promoter. 2. HEFA will have an authorised capital of 2,000 crore rupees and the government equity would be 1,000 crore rupees. It will be formed as a Special Purpose Vehicle (SPV) within a PSU Bank or the Government-owned-NBFC (Promoter). It would leverage the equity to raise up to Rs. 20,000 crore for funding infrastructure and development projects of world class Labs in IIMs/IITs/NITs and such other institutions. The HEFA will also mobilise CSR funds from Corporates/PSUs which will in turn be released for promoting research and innovation in these institutions on grant basis. 2. 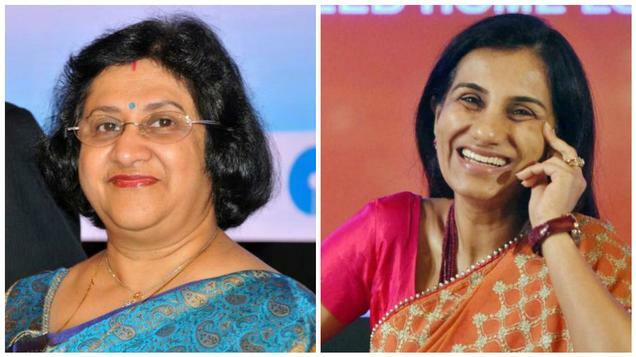 Bhattacharya, 60 is ranked second on the list, while Kochhar comes in at the fifth spot and Sharma in the 19th position in Fortune’s ‘50 Most Powerful Women International’ list, which has ranked the women based outside the US. 3. Bot, Group Executive Chairman of Banco Santander, Eurozone’s largest bank by market value, repeats as No. 1, in a time of economic and political volatility for all. The 2016 list spans 19 countries. 1. Indian athlete Deepa Malik became the first Indian woman to bag a medal at the Paralympics. Malik clinched a silver medal in the shotput F-53 event. Her throw of 4.61m was the best in her six attempts. 2. With the win, she confirmed India’s third medal from the Rio Paralympics. 3. Fatema Nedham of Bahrain won the gold medal with the best throw of 4.76m. Greece’s Dimitra Korokida bagged the bronze medal with a throw of 4.28m. 1. South Korean electronics major Samsung Electronics announced that Vice Chairman Lee Jae-yong will be appointed as a registered executive director on the board. The decision was made keeping in mind the urgent need for strategic decision-making on aggressive investments and new growth engines from a long-term perspective.